By default the WooCommerce product gallery zoom image size is very big. This can cause the zoomed image to look distorted and too far from the original. The cause is that WooCommerce selects the ‘full’ image size to use as the zoomed image. Use the snippet below to the use the ‘medium’ image size as the zoom image. ‘large’ will give a bigger zoomed image. 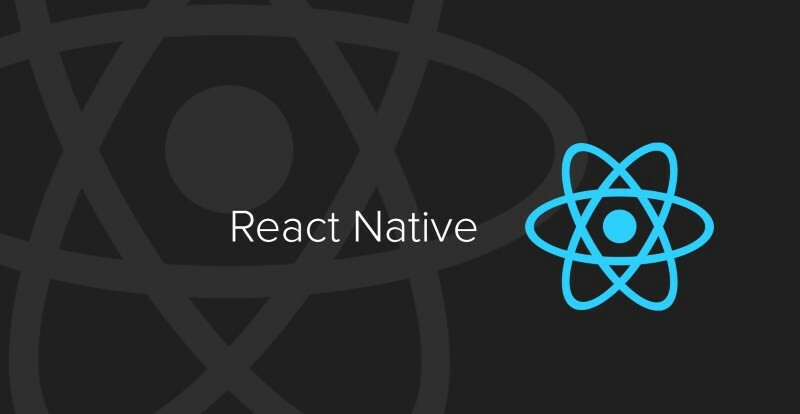 By default Hot Reloading in React Native only works if you extend React.Component. If you are using your own base classes to inherit from you need to change the .babelrc file. Below is my working example. In the superClasses section you will see BasePanel and InfoPanel which are my base classes. WordCamp London, in it’s 4th year in 2018, is an excellent event that I’d recommend to anyone working with WordPress. Whether you are a seasoned developer or have only just starting working with WordPress, it’s worth taking the time to attend one year. The entire 2 days costs only £30, which is incredible value when you consider this includes a decent lunch for 2 days, dinner on the Saturday night, snacks and hot drinks throughout the event. Of course WordPress is open source and so this event is non-profit and for the community, with everyone speaking for free and all of the huge number of volunteers helping run the event. If you use WordPress for your work then ask your employer to pay for you to attend. If you are independent it’s a really cost effective way of getting some personal development training. This is incredible value considering many conferences will cost you £150 for a single day of attendance, without travel or accommodation. The talks at WordCamp are varied covering development, design, accessibility, business and more. Experience developers will find the development talks pitched at a less technical audience, and so its worth trying different topics as I often find the business and design talks the most beneficial to me. WordCamps are the best networking events I have ever been to. The WordPress community is very friendly and open to discussion. 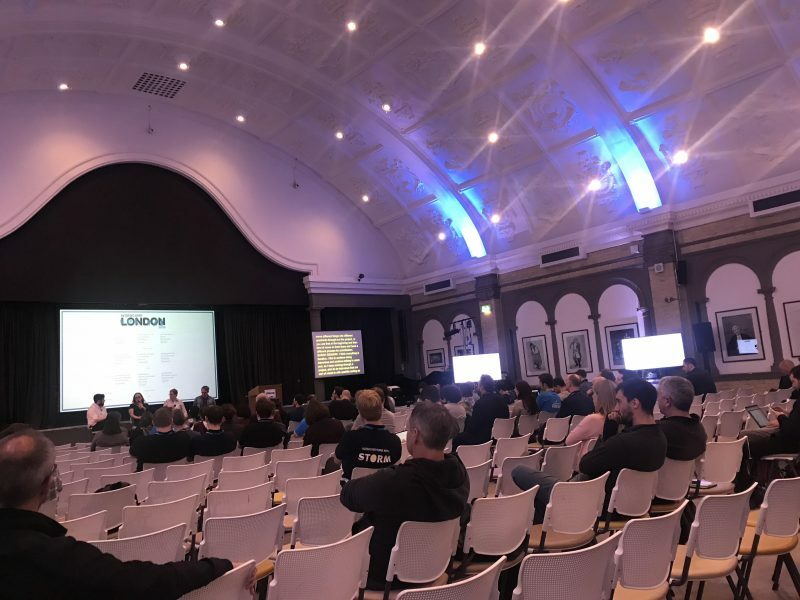 At WordCamp you’re likely to meet lots of people quickly including sales leads, people to work alongside, people looking for jobs, and companies looking to hire. WordCamp London has been at the London Metropolitan University, Holloway Rd for the last 3 years. It’s a great venue that allows 3 separate tracks of talks, a great social and dinner at the same venue. There are a large number of WordPress related sponsors helping fund the event also, and they can be found giving away swag on their stalls, so drop buy and have a chat with them. The WordCamp London website lists a number of suggested hotels. I have stayed at both of the Queens Hotels (there are two right next to each other) near Finsbury Park, as they are cost effective, and would recommend both. This one has a parking space outside which I’ve used on the Saturday, and there is lots of free parking nearby on a Sunday. I’d recommend getting to London by train though, as even on a Sunday the traffic can be tiring. I decided to get a newsletter subscribe form active right from the start. Previously I had used a Drupal module to collect emails and to send the emails. This worked out OK.
For smaller projects I use MailChimp. I love the user interface and simplicity of MailChimp. The website has about 1,800 subscribers, which is close to MailChimps free account limit of 2,000 subscribers. At this point I’m keen to keep costs down, and until I actually send a newsletter I’m really just collecting email addresses. I installed the Newsletter plugin, and configured it in the footer. I decided to re-structure the site slightly. During the import of the content from Drupal some of the URLs were changed. I went through each of the major pages, checking the URL matched that of the Drupal site, adding 301 redirects where necessary. Im surprised by how many plugins I’ve needed to install to replicate the features I was using on the Drupal site. I activated the free Let’s Encrypt SSL certificate in SiteGround. Then used the interconnectit.com search and replace script to change all occurrences of http://www.campervanlife.com to https:/www.campervanlife.com. The pre-import went pretty well. I had to add author and comments to several of the post types to preserve the data from the Drupal site. All of the posts and comments imported straight into the new site. There are a few broken posts types, such as the old photo gallery, and extra fields for member profiles. I’ve established that I can get to this data in the old Drupal database, and will fix that when I add those features to the website. Hmm, now I have to select a theme. There’s a lot to consider. Header – Important to have an advertising banner in the header. A sticky header would also be good. The premium theme company that I ran. Surely I would dog-food my own themes? Nope. Those themes were amazing at building pages, brochure websites. They had lots of options, and custom page builder (Visual Composer) components. There was a lot of code, much of which needed re-writing. Too bloated. Something from ThemeForest – Nope. Too bloated. I am sure there are some great themes on ThemeForest, but I just don’t have the confidence to use one. https://demo.tagdiv.com/newsmag/ – Feels narrow and cluttered. Some good features. 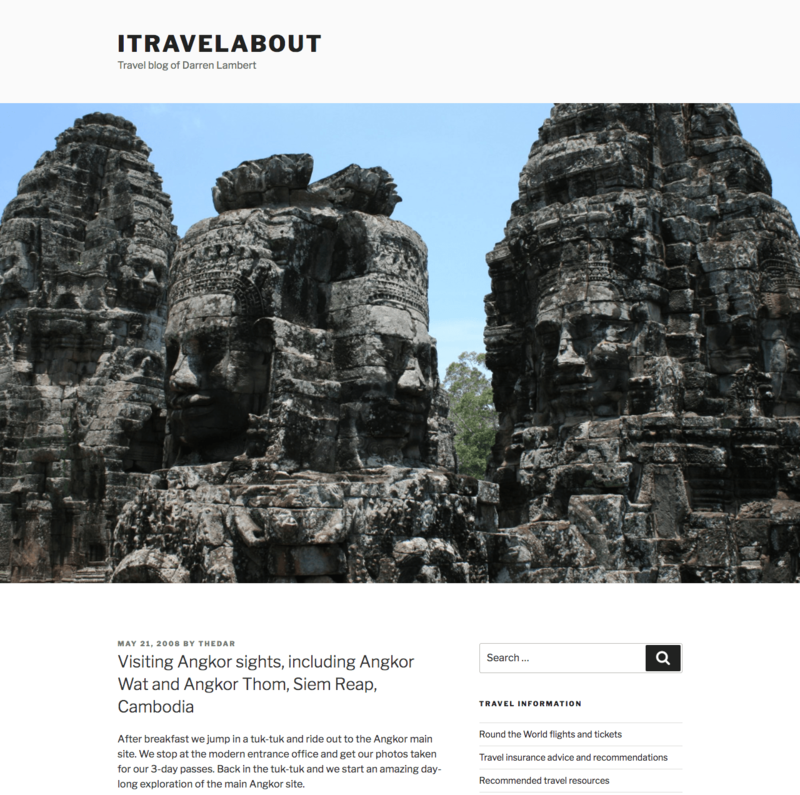 Before I start the mammoth task of converting www.campervanlife.com from Drupal to WordPress, I thought I’d try the same process on a smaller site, my travel blog www.itravelabout.com. Of course, like everyone else, I thought I would start a travel blog, make loads of money from it, and travel forever. That didn’t happen, but the blog does serve as a great diary for my trips. It’s nice for me to use it now to look back over the years, and I’m sure it will be even more important for me in the future. WordPress is definitely the best CMS for this blog, as I want it to be very easy to use, easy to update, and easy to manage photos. I took a full file and database backup of the live site. Although I wont be changing the live site, just eventually taking it offline, you can never fully anticipate what will happen, and so taking full backups as the first step is vital. A year or two ago I found a script on GitHub that someone had created for migrating Drupal (6 or 7) content to WordPress. I thought this might be useful for me to migrate my sites and searched for it. Strangely I couldn’t find it, but the top results for migrating Drupal to WordPress was a number of plugins. 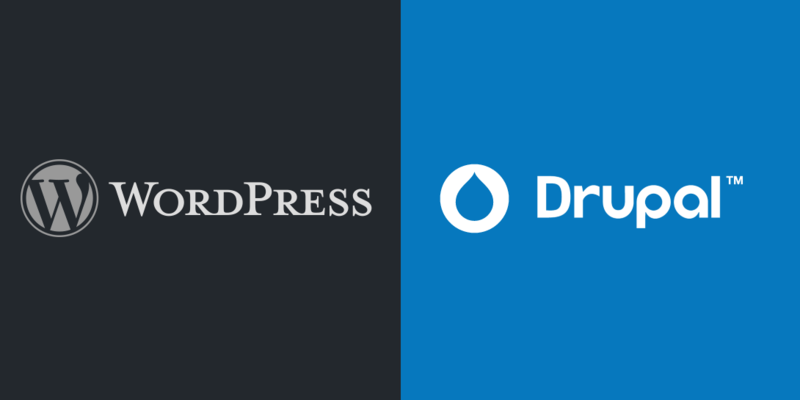 Two to be precise: CMS2CMS and FG Drupal to WordPress. They both have premium options, which I would need to buy. Af first I thought I would write my own migration code, as that’s an area where I am strong in experience, but then thought I would give these plugins a try, as it will save me a LOT of time, and not cost me that much. I consider both of the plugins, and they’re pretty similar, but ended up going for FG Drupal to WordPress as it seemed to offer more features and options. I create a new WordPress website locally, installed the free version of FG Drupal to WordPress and gave it a try. I copied the live Drupal website locally to reduce the import time. The import went well, and I was impressed with the results. The plugin told me I needed the premium version as I had custom content types. Fine, it was only €50. I bought it and re-ran the import. Everything imported really well, pages, posts and comments. There were a few other bits, such as a Story content type that was really just news, and so I converted those stories to Posts. in Drupal a page (or post, or whatever) can have any URL, as long as its unique. In WordPress things are not so flexible. Using the Custom Permalinks plugin it’s possible to have more flexibility, but there are still some constraints. I’m flexible on the URL structure, but once the campervanlife.com import is done I suspect there will be many broken links from the old site. I plan to audit every page, revising the content and images, and also the URL if necessary. The excellent Broken Link Checker plugin makes it really easy find and adjust broken links. I will also add 301 redirects to the .htaccess file. Then I can use the 404 to 301 plugin to monitor the inbound 404 links, and address any that have been missed. I not set the Import summary option “to the content” and I was left with lots of <!–more–> tags and duplicate content in the posts pages. I only realised this after it was too late. So I wrote a simple script that went through, compared the content before and after the <!–more–> tag, and removed the duplicate content. There are lots of broken links in the site. Some because external websites disappear and their URLs change. Using the Broken Link Checker plugin I was able to find, amend or delete the pretty quickly. I can’t imagine a similar plugin/module for Drupal. If someone had made it for Drupal, it probably wouldn’t work for my version, would be abandoned, or just simply wouldn’t work as well as the WordPress version. That’s a major factor with the WordPress community: Pride. People car about what they are making enough to do a really good job. The Broken Link Checker is also a great way of identifying spammy comment links and easily removing them. There were a lot of broken images, for various reasons. 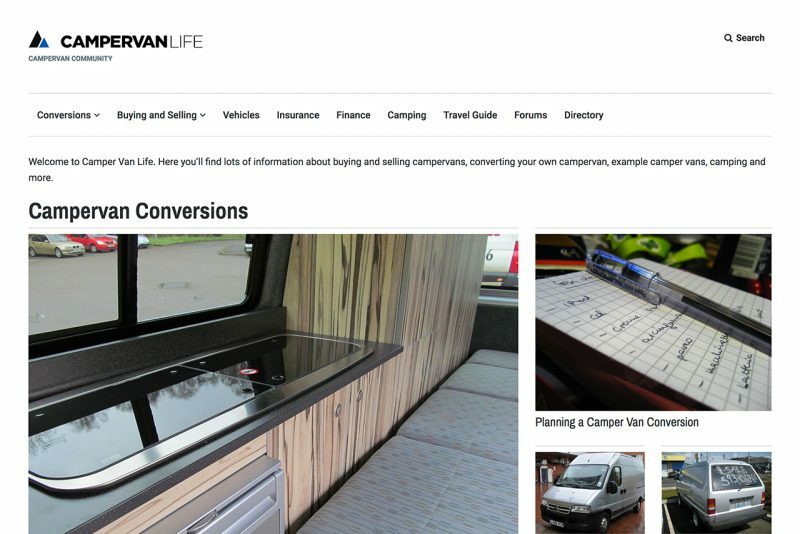 The current www.campervanlife.com website is powered by Drupal 7. The original website was a simple flat-file website. Then I converted it to Drupal to allow me to edit it online, and to add community features. In 2007 when I decided to move the website to a CMS Drupal was the best choice. I think it was version 4.7 at the time, perhaps 5. WordPress was a much smaller deal back then, and used mostly for blogs, so not a option. Since then I haven’t added a great deal of content to the website, but I have added features such as allowing members to add information and photos about their conversions. I was able to do this via modules fairly easily. I am a web developer with more than 16 years of experience, mostly in WordPress and Drupal. So I am experienced with both, but for the last 6 years I have focused almost entirely with WordPress, and done very little with Drupal. This has been a conscious choice as I much more enjoy working with WordPress, not only as a developer writing code, but also as an author writing and editing content. Naturally It would seem I should WordPress for the new incarnation of the website. However, Drupal has some powerful points that can’t be simply ignore because of my experience and preference. So I’m going to outline my experience of using Drupal and WordPress to build and manage websites, and how this related to www.campervanlife.com. Finding, editing and adding content in WordPress is easy and intuitive, and this is one of the reasons WordPress has become so popular. With Drupal things just aren’t as easy. If you’re experience you can generally find your content quickly, but the lack of built-in WYSIWYG editor means the process is not as smooth with Drupal. The content editing tools built into WordPress are excellent I am much happier writing and editing content which is an important factor as it can often be a barrier to putting ideas and content on the website. 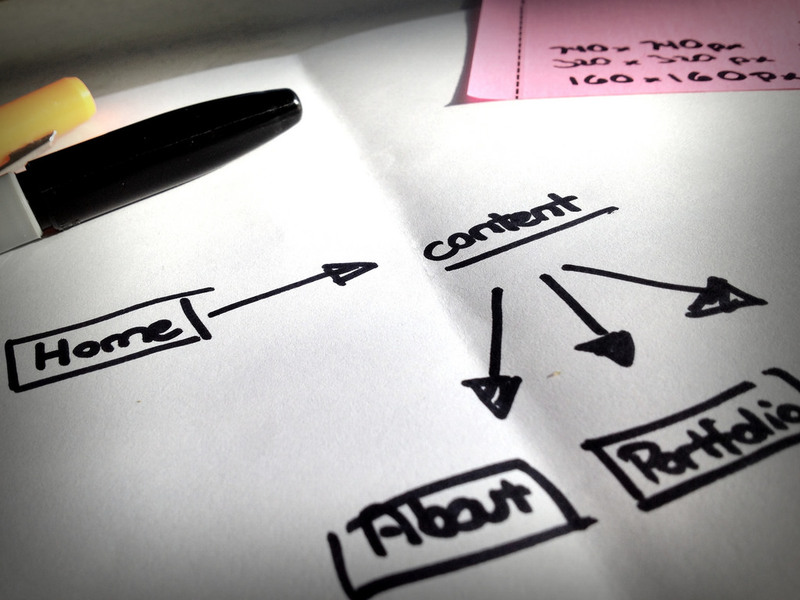 A significant factor in content management today is the use of tools such as page builders. I’ve been using page builders in WordPress for many years for me it’s the tool of choice of building complex, easy to edit content that looks great. Whilst there are some options available for Drupal they are inferior to those in WordPress, and I fear they may not have a very long life or will not be well supported. With each release the media library in WordPress has gone from strength to strength. It’s easy to find and upload images when editing content, or in bulk with galleries. As these features are built into WordPress they work perfectly and they are easy to use. With Drupal I find myself having to think about how the images are uploaded and stored, and most importantly when I try to use images and content it’s always a struggle to find what I want and to insert it into the content. With WordPress I’m able to upload multiple images at one, rotate, resize and crop images with the native media library manager. This means the images are available to me wherever I am on the site however I am adding content. It is probably possible to add the same functionality to Drupal, but I want these features to be native and faultless. Both systems allow custom content types to be added. Drupal has had this features for year, in various guises. And it works very well in Drupal. Unfortunately these needs to be done via the web interface, which is time consuming and makes it harder to push from dev to live. Drupal makes it very easy for users to edit content on the front end, as it’s a native feature. It just works. It doesn’t work exceptionally well, and can be a bit clunky, but it’s a great start. WordPress allows custom content types, created by plugins or code. I always prefer the code option. Support for fields is very limited, and one has to use a plugin such as Advanced Custom Fields. This plugin provides an amazing interface for building content types with extra fields. The Pro version is well worth the money, for the extra field types. Front end editing of these types and fields is not provided by default. You have to code your own. So definitely more time consuming, but because one is force to think about it and implement it, the results are generally better. Winner: Draw. Drupal is more powerful, but the WordPress results are generally better. Drupal has a fantastic built in caching system. It works extremely well, and most sites can turn it on for instant performance gains with little need for testing or compromise. WordPress has no built in caching system. But various plugins exist to give this functionality. Winner: Drupal, but a big gap. Drupal has great ways of separating code and templates. The Drupal community encourages best practice which works really well. The online community at drupal.org is a great place to find help and inspiration. WordPress is not is well structured and it can be easy to not follow best practice, be lazy or sloppy. However this is not a problem with my experience. Winner: Draw. Drupal has better structure, but WordPress is easier to use. WordPress rightly prides itself on how easy it is to update the WordPress core software and also any updates for plugins and themes. It’s very rare that there is an issue and easy to put right if there is. More recent versions of Drupal have made it easier to update modules, but other parts of the system are not so easy to update, even core. Winner: WordPress, but a big gap. When there is a major version of WordPress it is again a simple case of hitting the update button, and everything seems to work seamlessly. However a major version update on Drupal requires significant work and changing your theme and code to match the API changes. This is OK for a large webapp type installation but a great deal of work when you’re running trying to run a small website. Winner: WordPress, buy a massive gap. Drupal has always suffered from a lack of good themes to use. There are some commercially available ones for the quality standards are not the very best. Unlike WordPress where there is a huge community producing great quality free themes, often encouraged by WordPress.com themselves. There are excellent boutique theme shops such as ArrayThemes and Elma Studio. There is a colossal range of commercial themes on ThemeForest, but they often come with some bloat. Winner: WordPress, buy a big gap. Whilst Drupal has a good deal of modules available, they are often slow to be ported to the current version of Drupal. They can often be poorly maintained or have a very slow release cycle. WordPress generally has a higher number of plugins, of any equal standard, and generally with better support and release cycles. Winner: WordPress, but a good gap. Page Builders have been a concept in WordPress for some time. There are many to chose from, and are rich in features. Drupal has had the concept of panels and blocks for a long time, and in general they are OK. But they are not a great substitute for a quality page builder. There are a couple of premium page builders for Drupal on Code Canyon, but they have limited functionality and features. The most popular is based on an earlier version by the same author, which has now been abandoned. A classic Drupal module problem. I have considerable experience using the Visual Composer plugin for WordPress, and have even built custom components for it. I assessed all of the page builders mentioned by Pippin Williams and Chris Lema, to ensure I wasn’t overlooking an important player in this area. I concluded that Visual Composer fits my needs really well, and will by my first choice. Winner: WordPress, by a massive gap. Drupal’s membership features are excellent. Users can register, add and edit content all from the front end. It’s possible to assign permissions to make this happen very easily. Buy, annoyingly user management is quite bad. WordPress has no proper support for this, but it can be added with plugins. Some of which are very good, but not native. Winner: Drupal, by a big margin. CampervanLife is currently running on Drupal 7, and so I decided to install the latest Drupal 8 and give it a test drive. In particular I wanted to see the improvements with content editing and more and importantly image management. After installing Drupal 8 I edited some content and checked the media manager and was quickly disappointed. Of course I was assessing the built-in features are not looking beyond this with additional modules. However it’s important that my reliance on external non-core features is minimal as possible as this is cause me problems using the last few years running Drupal 7. Page/node editing was not inspiring, and this is a major factor for me. When I edit a page I need to feel the inspiration to write and insert media, to avoid any sort of creative block. The success of a project like this relies on good planning. Time spent thinking and making good choices before the work starts will save time and headaches not just now, but for years to come. This might sound a bit ‘blue sky thinking’, but having a simple manifesto, or a few paragraphs that defines what the website is about, its purpose, and it’s values will help to keep the project on track. I keep the manifesto at the top of a Google Doc, that I use to keep notes and information about the website. When I open the document the manifesto is right there for me to see and take in. This is a big one. The current website is powered by Drupal. When I created the site 10 years ago Drupal was a much better CMS to do the job then WordPress. However, since then WordPress has become a much better contender, and perhaps more importantly I am now a very experience WordPress developer. The first stage will be a (mostly) impartial analysis of the two CMS systems, and making a choice as to which is the best for to power the new website. This is to prepare as much content and process as possible, so that the live site is offline for as little as possible. Work done on my computer in preparation for the import of the data. It’s vital to remember anything stored in the database will be lost, except for custom pages I create). Sitewide adverts (to ensure advertisers get continued coverage). Members : username and email addresses. Passwords will not be copied over, and each member will have to reset their password to login to the new site. Some tasks are too complicated, and will be revisited once the website is live, such as finalising and displaying members conversions content, and the forums. Turn off all member interaction: New member registration, commenting and adding of any content. This is because I will be taking a copy of the live database, and any interaction from the members will be stored in the live database, and not used by my import. The quicker I get the import done and the new website live, the less time these features will be deactivated. URLS – check the new WP has the same URL structure for important pages and sections. This is important to ensure traffic sources such as search engines and links are not lost. Upload all of the WordPress files. Format membership conversions. This includes revamping the way the images are stored, and how members edit their conversion story. Once all of the data is considered moved over from Drupal to WordPress, the audit of the content can begin. This is where I would start if I wasn’t moving from Drupal to WordPress. Visit every page and audit the content, images, URL, SEO, etc. Use the Smart 404 plugin to automatically direct links to pages that have URLs that have changed. On 31st March 2006 I registered the domain name campervanlife.com. I was about to convert an empty van into a campervan, and then travel through Europe in it. I had seen a few other blogs when people had added photos and information about their own campervan conversions, and I thought I would do the same, to help others in the future. I am a web developer, and it’s always great to use your work skills to make something great to help others. What I didn’t know was that a very slow rollercoaster of emotions would come from this website, as well as money and a huge sense of pride, and disappointment. I left Cornwall, England and headed to France in September 2016. I had my little van, a camera and a laptop. I intended to be travelling for 2 or 3 months, but I was away for 9 months. I was travelling on my own, and had lots of quiet times. So, I documented as much as I could about my day, traveling in Europe, and travelling in van I had covered myself. I created the website, a simple HTML site using Dreamweaver, so that I add all of the content offline, and upload it when I got on line next. These are the days before iPhones and proper 3G don’t forgot. Anyway, I made the website, uploaded it, went home, and met a girl (now my wife). I was about to go India, and thought I would convert the website to Drupal. I’d used Drupal a fair bit, and knew the site would be easier to manage as I wouldn’t have a laptop with me in India. Drupal also allowed for member interaction. I hadn’t used WordPress at this point. I first added Google Analytics to the site, on 8th Feb 2017. 2 page views were recorded that day! Here’s a graph of how the traffic has grown over the last 10 years. That first year was a slow builder, but in the second year things really took off! The site quickly become the most popular resource for campervans in the internet, ranking well for most things. I had experience of affiliate marketing and Google Adsense, and so I was able to monetise this website well. Well enough that me and my wife to travel through Asia and Europe for the next 5 years. We were living the digital nomad dream. Although I had no client deadlines, and nothing stopping me from going out and doing whatever I wanted each day. This was great passive income, with no client demands or expectations! However, as you can see in the data a drop occurs in 2012 and continues through until now. This was caused by a change to Googles search engine algorithms, which meant the site didn’t rank so well anymore. I also stopped updating the site at this point, as I had moved back to Brighton, England, and was freelancing. This drop in traffic also means a drop in income, and with big changes from eBay, and Amazon I was making a lot less money now. The love for this website was fading out, and I lost interest. It’s been 5 years since I stopped working on the site (almost exactly). I the last 5 years I’ve finished a degree, supported my wife, bought a property, started and closed a tech startup. and done a lot of freelance work. I make websites for people all of the time. My passion for that is fading, and now I dream of making CampervanLife.com an awesome resource again. It’s taken a long time to get to this point, as I’ve had a problem saying no to freelance work. But I’ve got good at saying no now, and today, as I write this blog post, is the start of the rebuilding of this website, and the journey to make it a great resource again. And, the documenting of that rebuild. My plan is to make CampervanLife.com an awesome resource that makes a good profit. Then, I will build related websites and create a portfolio of websites giving me passive income, and allowing me to experiment with the things I love. The site is currently powered by Drupal, and a move to WordPress is likely, as I know and love WordPress, however Drupal has some important features that can’t be ignored. So it might be an upgrade to the latest Drupal version. Create a new theme for the site. Take the existing content, audit it all, and improve it all. Replace just about ever photo on the site. Fix and improve all of the membership features. Monetise the site in better ways. Offer something to sell, probably premium content. Over the next 2 or 3 months. I will be doing some client work in this time, to pay the bills. I’ve taken many steps to get to this point, and I’m really excited to get started. Once CampervaLife.com is established again I will look to leverage its traffic and membership base. I’ll use the Coca Cola model: Once they started selling Coke, then they introduced Diet Coke, then Vanilla Coke. Other ideas include a camping classifieds website, and a van database website. 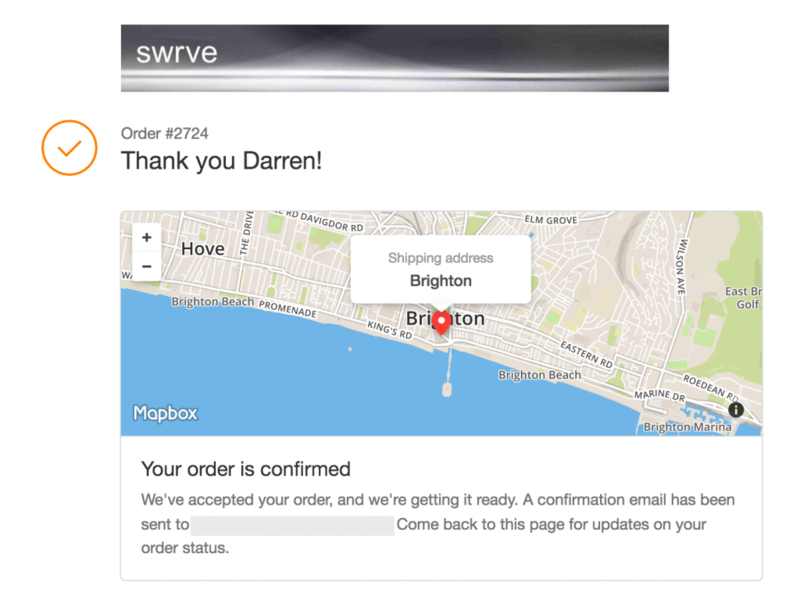 I loved this final checkout page detail on swrve.co.uk (who make excellent commuting cycling jeans).